He's trying to make himself busy! 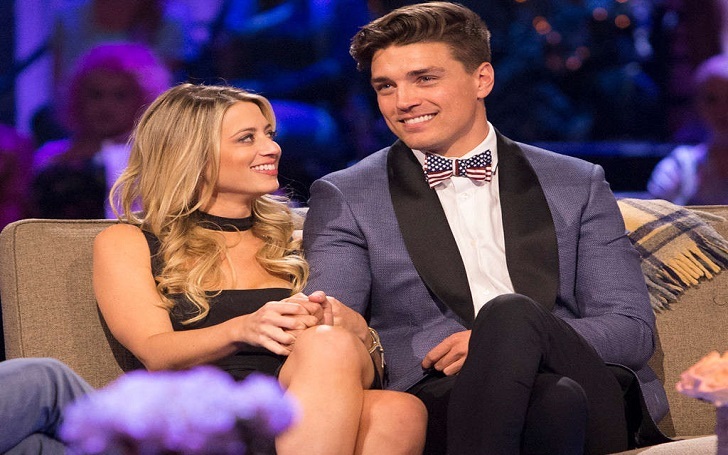 Following the split of Dean Unglert with his girlfriend of four years Lesley Murphy, the 26-year-old The Bachelorette alum has revealed that he is going to therapy. I want to feel loved. The worst part about all of this is that Lesley did feel that way about me regardless of everything. I know that she did love me. I got the one thing that I wanted but it still didn’t end up working out, which is one of the worst things to come to the realization of. I’ve been meditating more and I’m going to start going to therapy this week. Dean, whose mother died when he was 15 and had a rocky relationship with his father, further admitted that he needs to come to terms with a lot of issues. The Bachelor: Winter Games co-stars started dating each other while filming the ABC reality competition series in 2017. In February, Dean got on one knee during the World Tells All special in order to give his love a key to his apartment. I think the love blossomed after Winter Games wrapped. I think that was the initial meeting … Then we took it off camera and that’s where everything really, really took off. However, the pair called it quits on April 6. Following the break up news, Dean posted a cryptic message about love on Instagram on April 7. Growing up as a kid I had a crude but utopian idea of what love is. I always had this idea that no matter what you did, no matter how you act, as long as you’re true to yourself and act in good conscious, your path would lead you to the one person on this planet you’re meant to be with. As I’ve gotten older, I’ve learned that although everyone DESERVES love, it’s not something we’re entitled to. Love takes work. Love is compromise. Love is earned. I still have a lot of work to do on myself, a lot to prove to myself, before I’m ready for something like that. Dean had previously dated Danielle Lombard and Kristina Schulman.